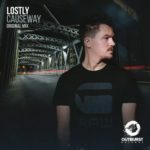 We talked with Lostly about his latest releases on Outburst Records and Vandit Records, his project “Lost in Noise” together with Indecent Noise, his musical backround and much more! Enjoy reading! 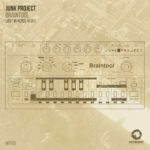 TranceAttack: Hey Andre, nice to have for some words on Trance Attack. Where do we catch you? Lostly: My pleasure. I’m currently in Cologne, Germany on a train on my way home. TranceAttack: You just released an artist album via Outburst Records. Congrats. It’s really rocking! Is there a concept behind the album or is it “just” a collection of gems? Lostly: Thank you! It’s just a collection of songs to showcase some of my music. I didn’t write the album thinking of progression or anything. Hence why I didn’t self title it like an artist album. TranceAttack: What can the listener expect? Lostly: Lots of acid, lots of analog sounds and big drops. There’s also a few more melodic pieces on there, but mostly techier bits. 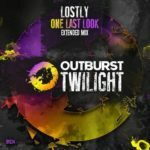 TranceAttack: Your last single release on Vandit Records was a huge success in the charts. How important is such a success for you? 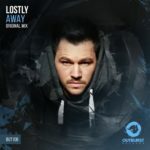 Lostly: Charts (especially Beatport) are sadly important for bookings, and being in the light when it comes to promoters. I dislike charts in general. I also think its strange that Beatport has become the main attraction to kind of tell if your song was a success or not. I think iTunes and listener charts are more important for that sort of thing. The VANDIT release was quite popular, and I guess many of my followers were waiting for me to finally release there as it’s a sound very near and dear to me. TranceAttack: There are plans to team up with Indecent Noise for “Lost in Noise”. Tell us something about this fantastic idea. How the idea was born? Is it studio collab or will it also be “show act”? Lostly: It’s a studio collaboration as well as a performance as a group. We both like each others style and the combination is something really special. It also helps that we’re good friends behind the scene. The idea came up in Taiwan during a sound check, and Indecent Noise came up with the name. TranceAttack: Tell us something about your background! How did you come in touch with the music? Where did it all begun? Lostly: I started DJ’ing at the age of 13, I just heard electronic music back then and fell in love with it, it was different and not the norm. I always want to separate myself from the norm. I play several musical instruments as well as I enjoy other genres of music. TranceAttack: Which artists influenced you on your way? For us the acid-touch sometimes reminds us to good old tracks from Kai Tracid. So, a German thing? 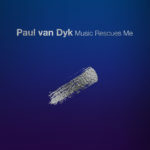 Lostly: Paul Van Dyk was probably my main inspiration. My acid influences come from Detroit and the whole acid house movement, Marshall Jefferson etc.. I enjoyed all the Tracid stuff growing up too of course. TranceAttack: What do you think about the German trance scene? There are a bunch of German trance heroes but sometimes it seems the scene growing worldwide, but forgets Germany. Just a wrong feeling? Lostly: Sad but true, I remember DJ’ing at Love Parade in Essen in 2007, Trance was huge in Germany. I was lucky enough to perform on one of the trucks back then. The event hosted 1.3 million people. Today most of the youth have no idea what Love Parade was and how big the Trance and the Hard Trance scene was together with Techno etc back then. So at the moment, the Trance scene in Germany, or at least for me, is relatively small compared to back then. Hopefully the tables will turn. I also have to say that there are many unsung heroes in the German Trance scene, the ones behind the big names. Producers. They disappeared and started producing other genre’s for other DJ’s and this has caused a bit of a dent in the scene. 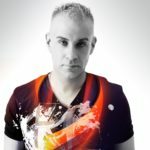 TranceAttack: Additional from our friends “We Are Trancers”: What do you think about the Italian trance scene? Lostly: I had a fantastic time in Italy, I love the Italian people, and their food. An amazing country with a passion for Trance! TranceAttack: We laughed when you presented your new old korg synthesizer on facebook like a good old girlfriend. Do you love more to produce with hardware equipment instead of software? Lostly: I have a weird, addictive relationship with my synthesizers, and synths in general. Definitely hardware, all my instruments have stories behind them and I give them a platform to tell them. TranceAttack: What kind of music are you into next to Trance? Lostly: Jon Hopkins, Moderat, and most melodic Techno music. TranceAttack: Favourite food and drink? TranceAttack: Where can we enjoy your sound the next weeks? What are the big spots on your agenda? Tagged Lostly, Outburst Records, Vandit Records.